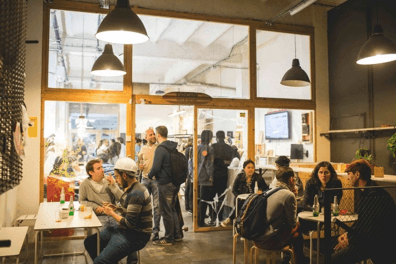 Barcelona proves that the coworking trend is not just limited to the United States, as more people are beginning to take advantage of these spaces. 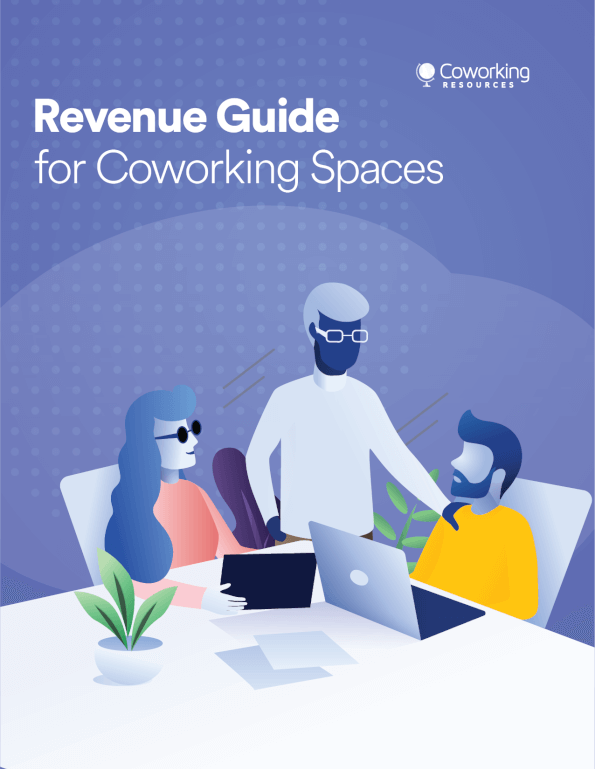 These coworking spaces are ideal for entrepreneurs as well as those who work from home. Due to the popularity of the spaces, it is possible to find options with amazing amenities. 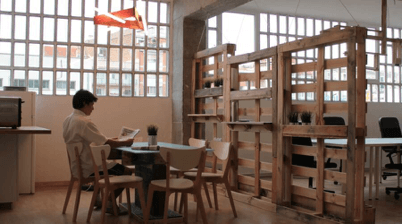 BCNewt has been around since 2014, making it one of the earliest coworking spaces in Barcelona. Rates start at 150€ or 199€ for dedicated desks. Members have access 24/7, desks, workstations, indoor and outdoor lounge areas, a printer and photocopier, fiber optic internet, a kitchen, a shared landline phone, unlimited purified water, and parking for bikes. There is also free marketing consulting, discounts with partners, and community events. Spaces are available for groups as well. With a range of workspaces and a kitchen area, BCNewt has plenty to offer members. BCN575 Coworking is open 24/7 and includes a coffee machine, water fountain, microwave, fridge, and utensils for members. There is a talking area for privacy, as well as a meeting room with flexible layout. Take advantage of fiber optic 100 MB cable or Wi-Fi internet and a copier/scanner/printer in color with your choice of A3 or A4. Phone lines and courier service are also available upon request. 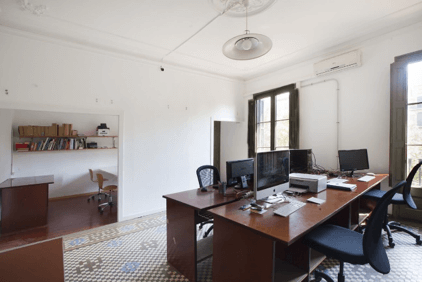 Personal desks start at 225€, with discounts for part-time and daily rates available, as well as private offices. BCN575 offers the option to reserve private or group offices in addition to communal workspaces. Those in the design industry can consider coworking at Meet BCN, which also offers private offices, meeting rooms, and virtual office services. Fulltime coworking starts at 292€, including a receptionist, Wi-Fi and cable internet (300 MB), 24/5 availability, six hours in the meeting room, a business address, utilities, and monthly networking events and workshops. There are also options for using the space part of the day or on a weekly or daily basis. Private offices start from 300€ for two people with similar amenities, and larger offices are available to hold several people. MOB, or Makers of Barcelona, has been around for three years and is constantly changing. 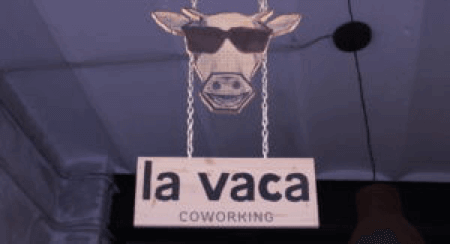 It is a coworking space as well as an event venue and place for collaboration. Full-day access starts at 130€, with dedicated desks starting at 190€ and lower prices for half days. All members get access to meeting rooms and MOB events, weekday access, a company address, and mail pickup. Once you opt for a dedicated desk, you get 24/7 access, and there are also options available for enterprises.